Although policy limits generally constitute the boundaries of the insurer’s indemnity obligations, most liability policies do not limit the amount an insurer must pay in defense of claims. One way an insurer may limit defense costs and its overall exposure is through the use of “eroding” or “burning limits” policies. In these policies, defense costs erode indemnity limits. In other words, every dollar spent on defense reduces by one dollar the amount available to settle or otherwise resolve the claim. Increasing numbers of professional liability policies and employment practices liability policies include eroding limits. Although the idea is gaining popularity among automobile, homeowners’ and commercial general liability policies, competitive markets in some industries and state regulations are likely to curtail expansive use of eroding coverage. A similar situation arises when there are several claims, and the payment of one or more exhausts policy limits. Whether an insurer has a duty to continue to defend its insured after policy limits have been exhausted is a contractual matter spelled out in the policy. Depending on the policy and the use of the limits, an insurer’s duty to defend some claims may be satisfied by defending and accomplishing a good-faith settlement of other claims in a manner that provides a real benefit to the insured. In either situation, defense counsel must advise the insured of the benefits of a suggested litigation activity (for example, hiring an expensive expert) and its potential effect on both the defense of the case and the available indemnity limits. In doing so, however, the defense attorney must be careful not to give coverage advice. In his or her initial letter to the insured regarding undertaking the defense assignment, the defense attorney should specifically state that he or she will not be rendering any coverage advice. It is good practice for an attorney handling a defense pursuant to a declining limits policy is for the attorney to create a liability analysis report and a litigation budget as soon as possible. These tools should be updated regularly, with copies sent to the insurer and the insured. An attorney who determines that potential defense costs may impair the insurer’s ability to indemnify the insured for exposure should bring that issue to both the insurer and the insured’s attention as early as possible. 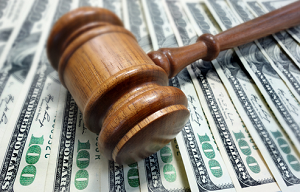 In dealing with plaintiff’s counsel, the best course of action is to be candid about the fact that the policy limits may be reduced by defense costs. In a 2003 case in California, the Court of Appeal found that an insured’s judgment creditor could sue the attorney who had been retained by the insurer to provide a coverage analysis when that attorney misrepresented the scope of coverage available for the claim. When policy limits are exhausted, insurers generally advise their insured and defense counsel that the insurer will no longer be funding the defense. However, an insurer’s decision to cease payment does not end the defense attorney’s duty to the client. Counsel must follow the prescribed rules for withdrawing from cases. It is not clear whether exhaustion of policy limits in and of itself allows a defense attorney to seek an order of withdrawal. A court may hold that an attorney who undertakes the defense of an insured under a burning limits policy does so at his own peril and with knowledge that there is a maximum amount available for defense costs. Some courts have refused to allow an attorney to withdraw from representation when the insurer ceased to pay for the defense. Ethical issues arise for the plaintiff’s attorney as well. A plaintiff’s attorney, in gathering policy information at the outset of litigation, should attempt to determine whether the policy is an eroding limits policy. Obviously, in a declining limits policy, amounts spent on aggressive litigation decrease the plaintiff’s potential recovery. As part of initial litigation strategy, a plaintiff’s attorney should weigh the pros and cons of conducting certain activities (such as extensive discovery) and consider how those activities may bear on the ultimate recovery. The plaintiff’s attorney should also disclose these issues to the client and explain how certain litigation tactics may impact recovery.